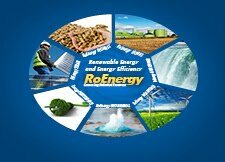 Therefore sustainable development in this sector ultimately requires incessant finding of new solutions, perfecting of the existing and urgent implementation of increasingly efficient technologies, equipment and materials in the field of heating, air-conditioning, ventilation and drinking water treatment. These topics will be tackled by INTERKLIMA, a fair event of longstanding biennial tradition and successful organization, which has evolved into the leading regional fair of its kind and has confirmed its status of the unavoidable venue in the business calendar of the leading Croatian and world producers of the equipment for heating, cooling, air-conditioning and drinking water treatment. Within the scope of the Fair INTERKLIMA the 22nd International symposium INTNERKLIMA 2013 and the 11th Conference on Thermography will take place. Due to its tradition of 42 years the Symposium INTERKLIMA is the oldest symposium of its kind in this part of Europe that has become the meeting point of scientists and experts in the field of air-conditioning, heating and cooling. Since 2005 its scientific part has been dedicated to the world famous thermodynamics expert Fran Bošnjaković. In parallel with INTERKLIMA we organize a related fair with a compatible programme - BUILDING, the exhibitors of which are more and more dealing with the use of energy efficient insulation materials and equipment in construction of energy independent facilities. The 55th International CRAFTS Fair as the most significant fair in the branch and the central business event for craftsmen, small and medium-sized businesses in the Republic of Croatia will enrich this term and give it a special coherence.